By providing an alternative to mainstream media, the internet can increase mutual understanding. This is a government level-affair. But regardless of how governments interact, it will not prevent civil organizations and writers from using whatever platforms they can to promote people-to-people exchanges and increase mutual understanding between the two peoples. This is the most important kind of “public diplomacy,” and in the long term, it may be the most meaningful. In the era of globalization, open societies and open information, it is public knowledge and opinion that ultimately decides the direction of the bilateral relationship. Over the past ten years, I have witnessed the ups and downs of China-U.S. relationship… The “married couple” of China and the United States began to stumble, especially after 2008. The U.S. media was blunt in criticizing China, and the Chinese official media also began to highly publicize the conspiracies and evil deeds of America. As a result, some young people who couldn’t even find the U.S. on a map grew passionately angry towards the U.S. You would think the forced demolition of their homes, their low salaries, and even Chinese government corruption was all part of a CIA conspiracy. Some people were even dying to sail to the U.S., occupy Washington D.C., and attack the White House. But the media tides quickly changed again. The “married couple” weren’t arguing anymore. I’m not sure whether they’re sleeping in the same bed, but they’re sitting on the same bench and starting to dream — both the “Chinese Dream” and the “American Dream.” The “married couple” of the U.S. and China had made peace, but the media could not be idle. In a strange coincidence, another evil neighbor turned up at just the right time. This time, it was Japan. The official media got riled up again, and accused the United States of supporting Japan… The United States was attacked just for existing. It got so bad that the sushi lovers didn’t even dare to go to Chinese-owned Japanese restaurants, for fear of being called a traitor. Discerning people can easily see that the media, which always speaks with one voice, failed to report impartially on the mistakes and ulterior motives of politicians. The media also failed to publish different viewpoints. Truthfully, the media’s role was harmful. The rise of the internet made up for this deficiency. Although China has no independent non-profit organizations engaged in “public diplomacy,” we have “non-paid” writers to provide some positive energy for foreign relations. Over the past decade, I have mostly focused on China’s domestic political reform and democratization process, but I’ve also written hundreds of thousands of words about international relations. When China-U.S. relations were at their most tense, I wrote that China’s only choice is to have a good relationship with the United States, which is in line with China’s national interests. While China and Japan were quarreling, I wrote a number of articles to remind them not to let things get out of hand. Of course, most of my articles were written to introduce what I have seen and heard to those young people who may never have a chance to travel abroad to see for themselves. Any strong bilateral relationship between two countries must be established on people’s knowledge and understanding of each other. Ignorance, misunderstanding and misguidance will only lead to prejudice and antagonism. I’ve written a lot of blog pieces to increase the average Chinese reader’s understanding of the United States, reduce misunderstanding and ease hatred. After China-U.S. relations hit some bumps in 2008, a lot of young people were led by the mainstream media to believe that America’s democracy and freedom of expression were fake. They thought that the public had no right to protest, that criticizing or making fun of Obama would lead to punishment. So during a visit to the U.S., I put on some clothes that were clearly printed with cartoon images making fun of Obama and I walked in a circle around the White House. During my time in Washington, I wrote an article protesting the U.S. government bureaucracy. I posted the pictures and articles on my blog that same day, hoping some young Chinese netizens would gain a better understanding of the United States. Chinese netizens live in a place where making fun of even a mayor is likely to result in punishment or even time spent in a “reeducatation through labor” camp (thankfully, such camps have been abolished). I have to apologize to Obama — it’s not that I actually dislike him. I just used him, a bit carelessly perhaps, but I know that the American president is fair game for being “used” or criticized. Later, the retired U.S. Defense Secretary Robert Gates wrote a book commenting on the political figures in the U.S. He had some words of criticism for everyone in the administration, from the president to the secretary of state. This was well-covered by China’s mainstream media. There’s nothing wrong with reporting on it; it’s in line with the facts. However, some attempted to conclude from Gates’ book that U.S. democratic system is fake, and the U.S. government deceives the people. This was too much, and would give the wrong impression to those Chinese readers with incomplete information and limited thoughts. At that point, as someone with a blog and a microblog, I had an obligation to remind everyone: Have you seen a retired Chinese defense minister be allowed to expose the inner workings of the incumbent administration and directly criticize the president and secretary of state? Listen to both sides and you will be enlightened, heed only one side and you will be left in the dark. Watching CCTV’s daily news program Xinwen Lianbo can make you happy, but if you don’t combine it with reading blogs you may soon become a happy fool. Over the years, hundreds of internet writers have all helped ordinary Chinese people understand the outside world. With the new platform of the internet, it will be harder for those people trying to manipulate public opinion to arouse hatred or to divert attention to achieve other purposes. “Public diplomacy” is not only doing things that the government cannot do. It also means taking steps to prevent the government from doing unsavory things. Compared with China, the views of the American people have a more direct impact on foreign policy decisions. 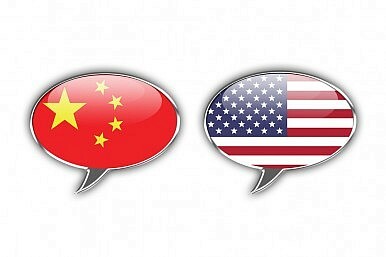 Sadly, although some Chinese internet polls show that positive perceptions of the U.S. are increasing, in America, unfriendly or even hostile attitudes towards China are increasing. China has some plans for overseas publicity, and has invested a lot of money in this, but they either don’t understand the environment overseas or they’re unwilling to understand and have no way to change the workings of the bureaucracy. For whatever reason, China’s overseas publicity often doesn’t get good results, and sometimes gets things completely wrong, which actually creates negative publicity. To increase the American understanding of China, I think it would be better to rely on the local Chinese-American community as well as NGOs like the National Committee on U.S.- China Relations and the older generation of China experts and U.S. diplomats. The U.S. media should be comprehensive when viewing China and try not to demonize China. In China, we bloggers are on the grassroots levels. We are impacting a large number of ordinary people who don’t have much influence themselves. However, I believe that when thousands of ordinary people learn the truth, embrace diversity, and begin to learn how to express their views through the internet and new media, they will not only be able to affect those influential policy-makers, but will be a great force that cannot be ignored. So I think that the China-U.S. “new model of major country relations” needs one more clause: Society should be open and information should flow freely, in order to ensure that people of the two countries can move from knowledge to understanding and finally to mutual respect. Let’s work together. The First Lady's trip to China provided a high-profile, low-controversy example of U.S.-China relations.